A dazzling array of granite and coral islands, all located outside the cyclone belt, makes Seychelles a year-round sailing destination. The easy sailing distances between the inner islands offers a myriad of beaches, golden sands, hidden bays and secret coves. The outer islands, mainly coral cays and atolls, are virgin territories featuring stunning lagoons and unparalleled opportunities for big-game, bottom and fly-fishing. Fleets of professionally maintained and operated monohulls and catamarans are available for charter, either crewed or bareboat, with many other styles of vessels available for scenic cruises, snorkeling trips and island-hopping excursions. However, perhaps the best way to see the idyllic Seychelles islands is on an island-hopping cruise - either on a crewed catamaran, or else on one of our Sailing Yacht cruises. 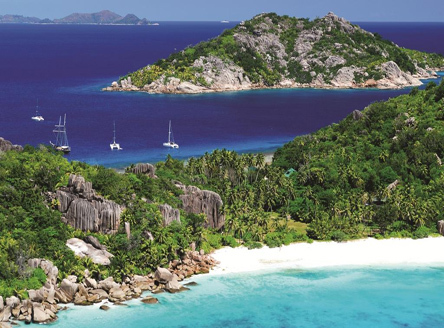 Discover the inner islands of Seychelles with the fun of cruising at a leisurely pace. Departures throughout the year. 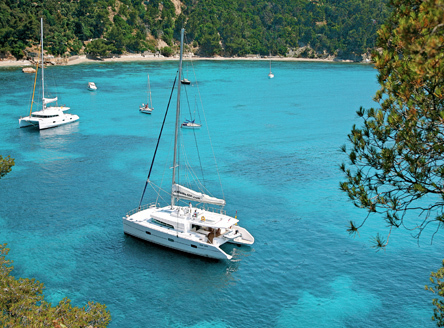 'Sailing Yacht Cruises' - cruise the inner islands aboard an old 3-mastered schooner! Departs from Mahe or Praslin (depending on the time of year), with visits to La Digue, Praslin, Curieuse and typical Seychelles islands & islets such as St Pierre and Grand Souer. Friday departures throughout the year. 'Cruise & Stay Packages' - we'll tailor your cruise with either a pre or post-cruise stay at the hotels of your choice. Quite simply, this is the best way to see more of Seychelles! We offer an unrivalled choice of Seychelles hotels & resorts. We'll therefore combine your cruise with a stay at as many islands as you would like, from boutique hotels to outer coral islands. We'll tailor all the transfers - you won't have to worry about a thing! Just talk to our experienced team. 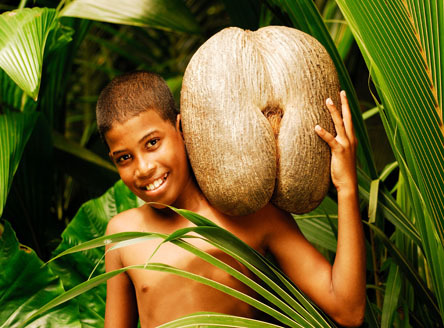 The Seychelles has a tropical climate with average temperatures around 28 or 29 Degrees Celsius year-round. See our Seychelles weather guide for more detailed information.